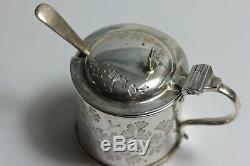 A very nice sterling silver cased mustard pot and spoon. 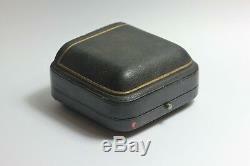 Original case showing minor signs of storage wear and still retaining true colour. 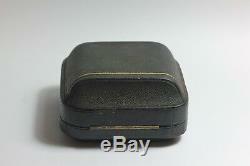 Mustard pot is in excellent condition with blue glass lining showing no chips. 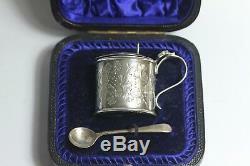 Mustard spoon is not original but is sterling silver and fits in well. 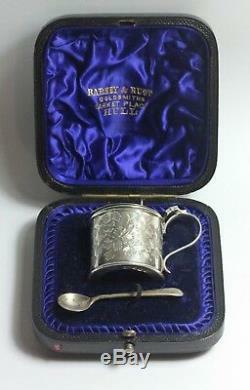 Fully hallmarked in Sheffield made by Henry Atkins in 1890. 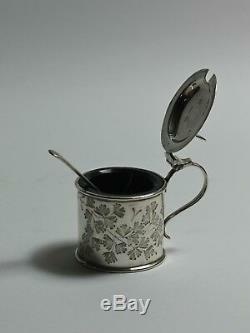 Size: 36 mm x 38 mm (main body of pot without handle) spoon 63 mm. 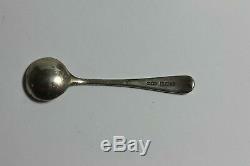 Weight: 41.4 g (spoon and pot without lining). If on receiving your item / items there is a problem, please contact me first and I will try to resolve this issue. 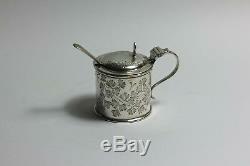 The item "Antique Sterling silver cased mustard pot and spoon Victorian floral bright cut" is in sale since Friday, August 3, 2018. 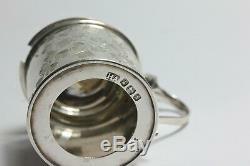 This item is in the category "Antiques\Silver\Solid Silver\Mustard Pots". 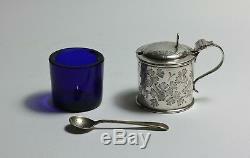 The seller is "taunton-antiques" and is located in Taunton, Somerset. 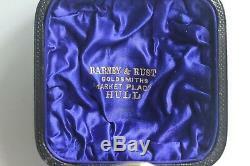 This item can be shipped to United Kingdom, Austria, Belgium, Bulgaria, Croatia, Cyprus, Czech republic, Denmark, Estonia, Finland, France, Germany, Greece, Hungary, Ireland, Italy, Latvia, Lithuania, Luxembourg, Malta, Netherlands, Poland, Portugal, Romania, Slovakia, Slovenia, Spain, Sweden, Australia, United States, Canada, Japan, New Zealand, Israel, Hong Kong, Norway, Indonesia, Malaysia, Mexico, Singapore, Saudi arabia, South africa, United arab emirates, Ukraine, Chile.